'The Death of You and Me' singer's 11-year-old daughter, Anais, with ex-wife Meg Matthews came to see him play in London recently, but he was left distraught when he spotted her sending text messages. He said: "I looked up as I was singing – and if this isn't a sign of the times, I don't know what is – there she was, middle of a packed arena, texting. My own flesh and blood! Disgraceful." 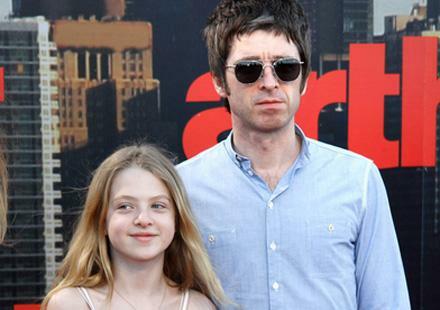 Noel is also father to Donovan, four, and 15-month-old Sonny with current spouse Sara MacDonald, and says his eldest boy gave him a much more positive reception when he saw him play. He added to NME magazine: "He came to the Manchester gig and he was extremely p****ed off afterwards. He goes, 'did you hear me shouting at you dad?' Apparently he just kept shouting, 'Dad! Dad! Dad!' all the way through. "I asked him what he was shouting for, and he says, 'I just wanted to tell you, do the loud ones! They’re better than the quiet ones!'"